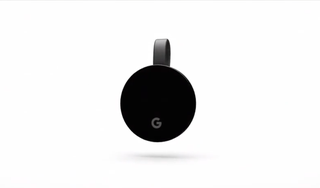 Google has sold more than 30 million Chromecasts for the simple reason that it’s a super easy, super cheap way to get the stuff you’re watching on your computer or your phone onto your TV. Now it’s getting an upgrade for the TVs of tomorrow. The new Chromecast Ultra isn’t a necessary upgrade for anyone, but it’s an obvious step forward for the gadget. The new dongle supports 4K and HDR content. It might not be standard today, but it will be in the future. The biggest change anyone will notice is that the new Chromecast is 1.8 times faster than its predecessor. No more laggy connectivity. Chromecast Ultra will be available in November for $69.